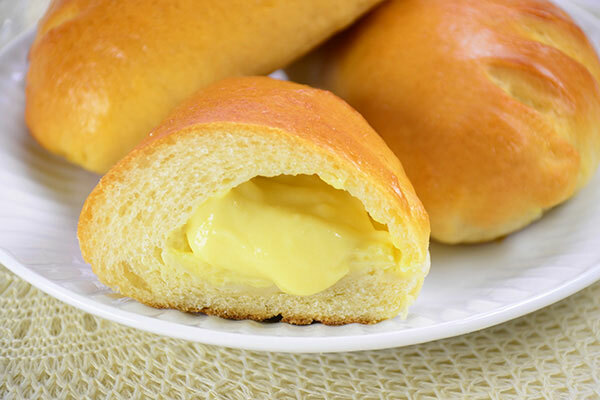 Mmmm, a slightly sweet soft bread filled with tasty custard cream, who wouldn't love Cream Pan? 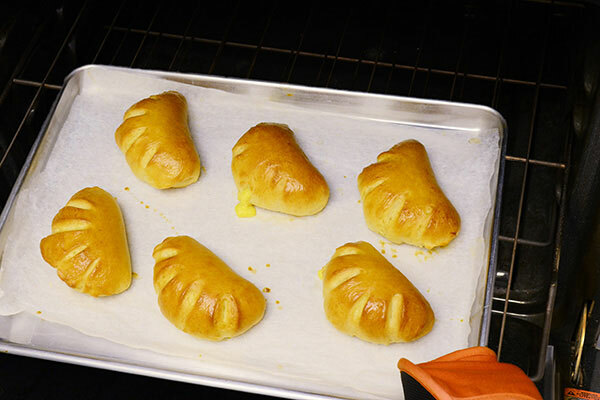 Traditionally, they are formed into the shape of a glove to reduce air-pockets from forming during baking. Why not give this sweet Japanese pastry a try? Make the custard cream filling. In a sauce pan, whisk sugar, flour and corn starch. 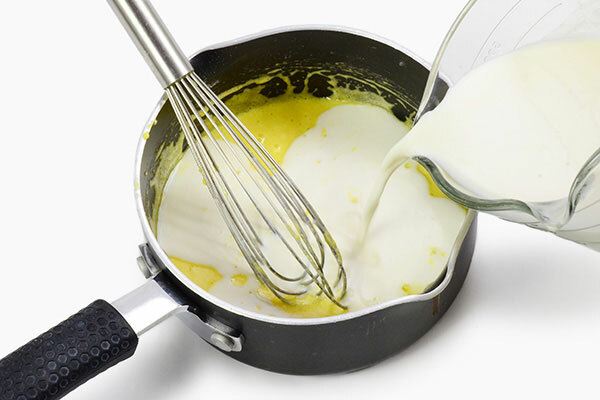 Add egg yolks and mix well. Add milk gradually while stirring constantly. Stir and cook mixture in the sauce pan over low heat. Just before the mixture boils, remove from heat, stir in butter and vanilla extract, mix until dissolved. 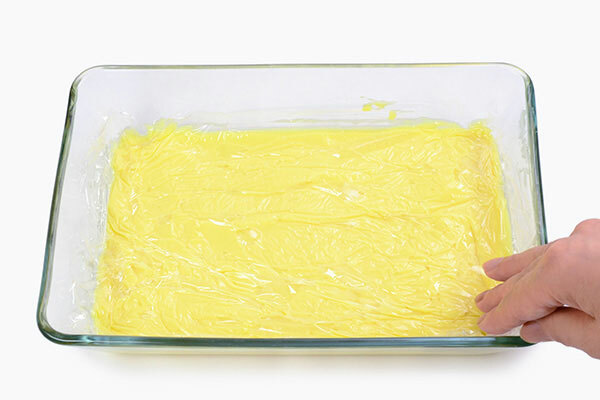 Transfer filling into a flat container, place plastic wrap directly on surface of the cream to prevent any skin from forming. Refrigerate for at least 1 hour to chill. 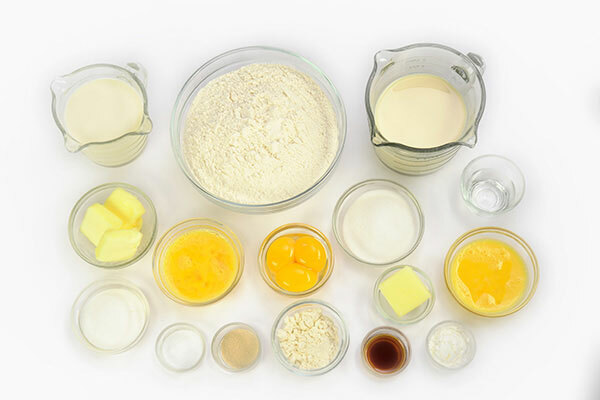 When the DOUGH course completes, remove the dough and divide into 12 for the 2-lb. 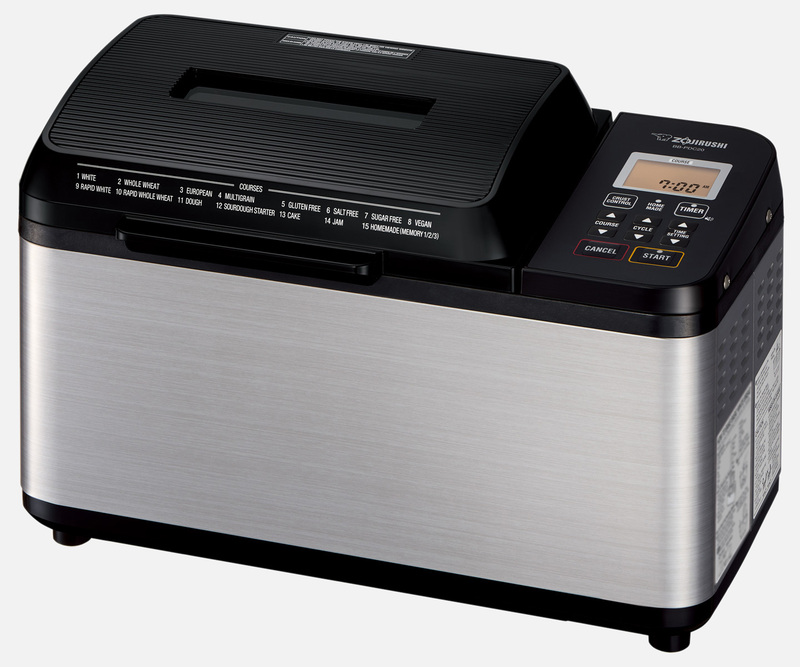 breadmaker, or into ８ for the 1-lb. 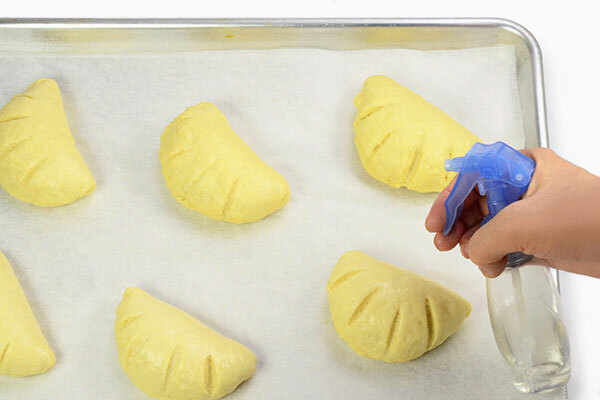 breadmaker, and shape each piece into a ball. 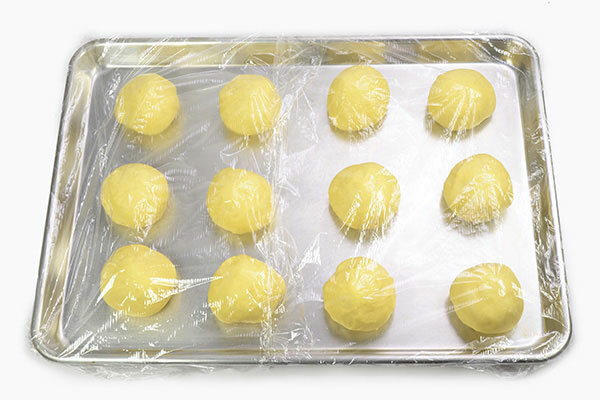 Cover with a plastic wrap and let rest for 20 minutes. 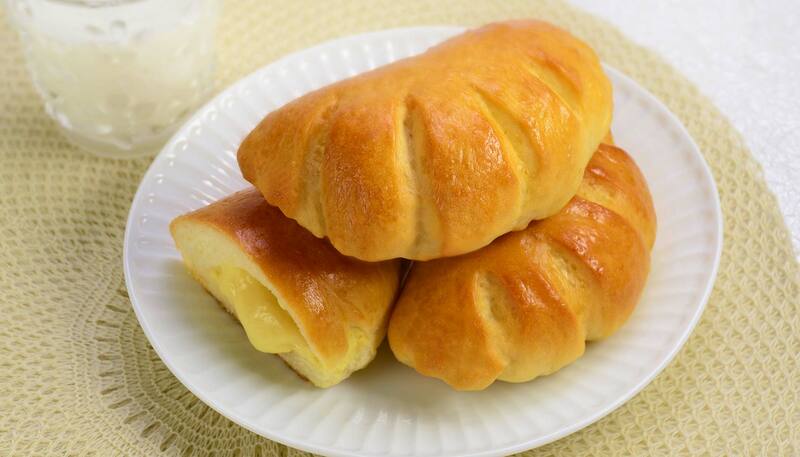 Fill each dough with filling. Flatten each ball into a 4" x 5” flat oval shape. Divide filling to 12 for the 2-lb. 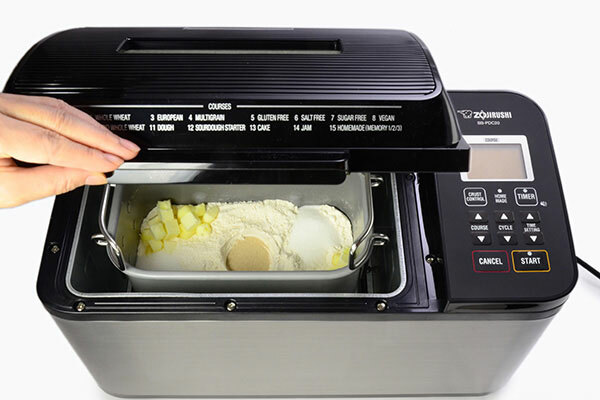 breadmaker, or 8 for the 1-lb. 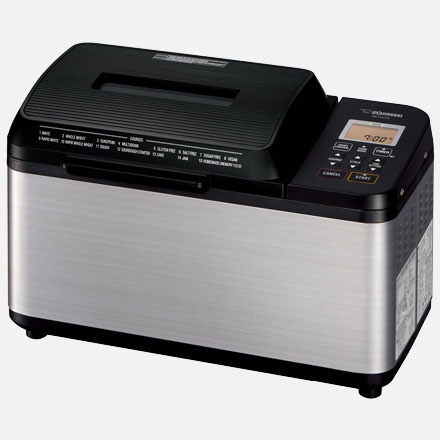 breadmaker. 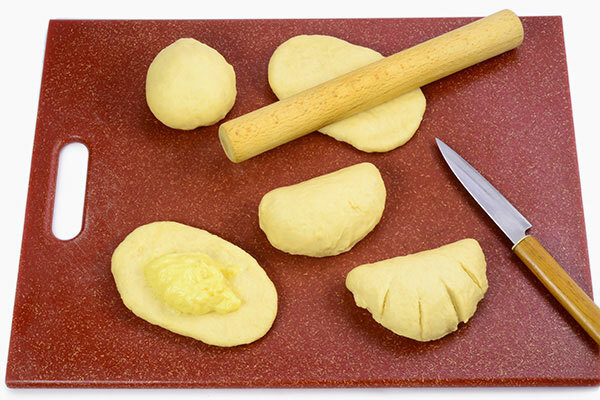 Place a filling at the center of the flattened dough. Keep filling away from edge, for easier sealing. Fold dough in half to form a half moon. 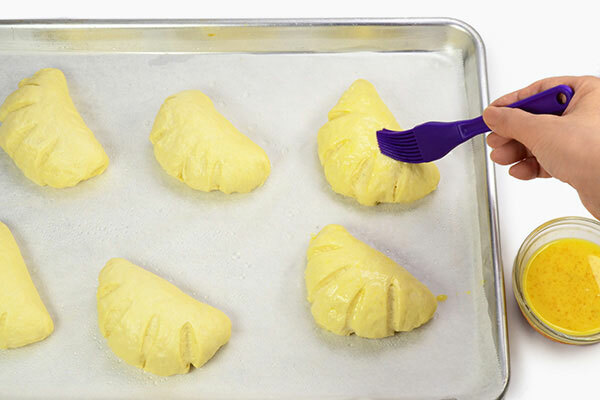 Using your thumb, press and seal the edge well, then cut five 1" slits in the half moon to form a “glove.” Place on a baking sheet lined with parchment paper. Repeat step for remaining dough and cream. Spritz with water and allow to double in size in a warm place (about 30-40 minutes at 95°F). Brush surface with egg glaze. Bake in an oven preheated to 375°F for 13 minutes, or until golden brown.